NOPD Supporters Win the Day Again ! The Commissioners voted 14-0 against OPDs for Venice after hours of hearing testimony from about 100 Venetians, the city of L.A. and the Venice Stakeholder Association. Commissioner Esther Sanchez started the comments by saying she would vote no, and thanked the audience (90% NOPD) for helping her make her decision. The Commissioners blasted the city, and their own staff, for bringing the issue to the board without a parking study that would show how OPDs would help the parking problem in Venice. The city could only produce a five-year-old survey that only partially addressed parking in the community. What was significant was that most of the Commissioners were new and had not been present when the city received similar drubbings from Venetians at hearings in 2009 and 2010. It should be difficult for the city to bring this proposal back to the Commission after today, but who knows? Anyone who cares about Venice would have been extremely proud of our NOPD delegation at the Commission meeting. They were focused, to the point and made a powerful impression on the Commissioners. 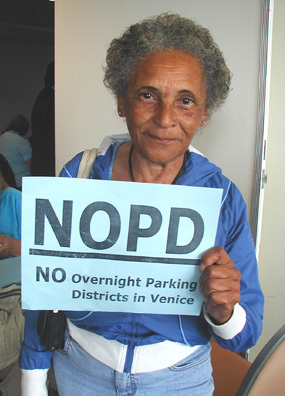 June 6, 2013 at 5.00 pm, was the last day to submit letters, emails & petitions opposing Overnight Parking Districts (OPDs) in Venice. 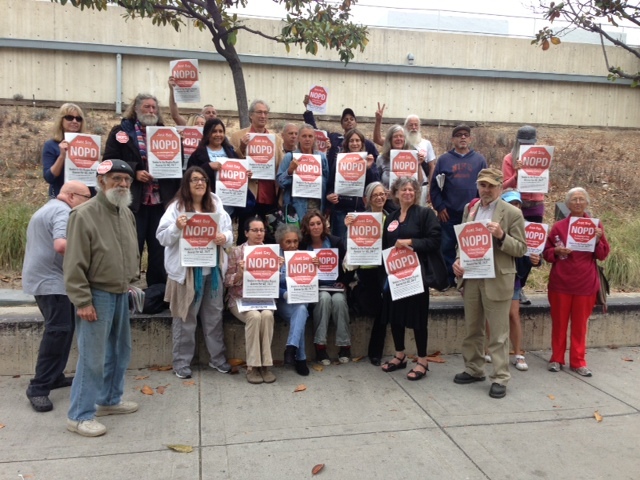 BUT…we can still make our voices heard by attending the CA Coastal Commission (CCC) hearing next Thurs. June 13 which begins @ 8:30 am in Long Beach, CA. If you are available on that day PLEASE join us in telling the CCC that you want to keep coastal access to Venice beach free and open to all, as stipulated by the 1976 CA Coastal Act; and, if you live in Venice, that you don’t want to have to pay to park on your street! We will be busing and/or carpooling to Long Beach – contact David Busch for info. about bus/carpools. PLEASE COME IF YOU CAN, ESPECIALLY IF YOU LIVE IN VENICE. If you live in Venice, CA and you pay attention to local politics – you will, no doubt, eventually come across the name Mark Ryavec. To some, he is a hero who seeks to gentrify Venice and improve it’s ‘quality of life’; while to others, he is a villain and, some might say, a bigot – who seeks to rid Venice of it’s free-spirited homeless population and install permit-parking on its streets, in an attempt to protect 24 hour street parking for residents only. How you perceive Ryavec, the man, may depend entirely on which side of the argument you come down on. But for those who are still straddling the fence, let’s take a look at what we know about Ryavec, the man – courtesy of Google. 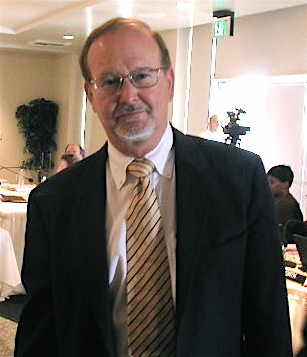 To begin with, Mark Ryavec is the president of Venice Stakeholders Association – whose mission is: “dedicated to civic improvement”; and, as such, in March, 2013, filed a complaint to the Department Of Neighborhood Empowerment (DONE) for an “Investigation of Ethics Violation by Linda Lucks, President of the Venice Neighborhood Council’ (a position that Ryavec has coveted for several years, having run – and lost to Linda Lucks, twice, for the position of president – in the last two local Neighborhood elections). Ryavec is a leading proponent of Preferential Parking Districts (PPDs) in Venice and has spearheaded a movement to implement Overnight Parking Districts (OPDs) for the past several years. 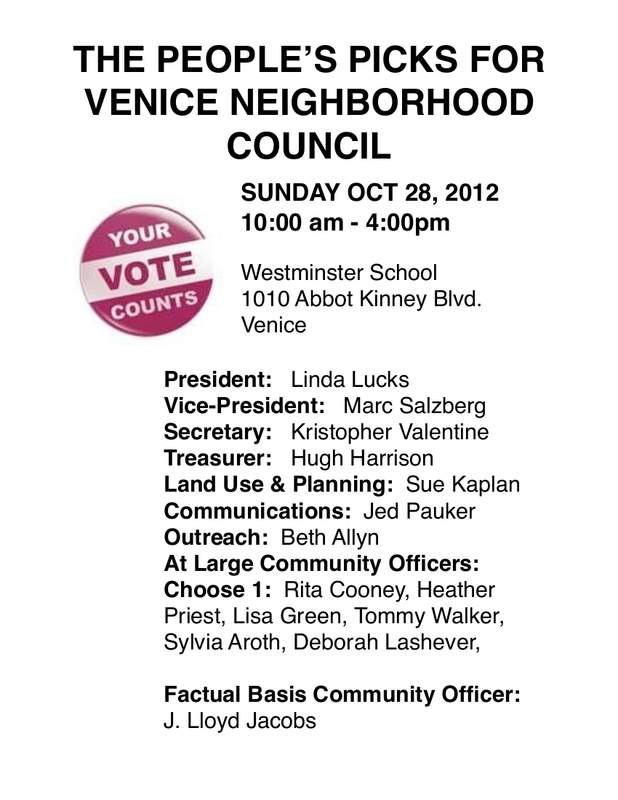 Twice he, and his supporters, have lobbied the City of L.A. (COLA) and the CA Coastal Commission (CCC) for OPDs in Venice – and twice, first in 2009 and then in 2010 his efforts have been thwarted by those who prefer to keep the streets of Venice free – and open to all – in alignment with the CA Coastal Act of 1976. “When I decided to enter this race I thought that I would be running against Councilman Bill Rosendahl. He appeared to be confident that he would recover from the cancer that he was battling and run for a third term. In the end, as we have seen, he has continued to improve but also made the prudent decision to focus on his health and not run. Later, on February 8, 2013, Ryavec endorsed former City prosecutor of 25 years, Tina Hess, in the CD11 race, presumably in the hope that Hess would carry on the fight to rid Venice of its homeless population. As it turned out, Rosendahl’s deputy, Mike Bonin, won the race hands down; and we have yet to see if he will follow in Rosendahl’s footsteps, policy-wise. Previous to these recent political sorties, Ryavec was always very verbal on the issue of (not) helping the homeless. For example, on June 17, 2012 he brought a motion before the VNC to step up police enforcement of city codes aimed at homeless people living on Venice streets. Earlier, on May 17, 2012, he had posted this article on Venice Patch: “Food Giveaways on Venice Beach Enable Status Quo, Ineffective at Helping People Get into Housing” – arguing that feeding hungry people was not a constitutionally protected activity and only served to encourage homeless people to stay in Venice. Ryavec omits to acknowledge that there is no affordable housing available for homeless people – which is why many remain on the streets. Ryavec always, it would seem, a law unto himself, has spearheaded a number of attacks on what he considers to be ‘blight’ on the streets of Venice, namely homeless people sleeping on sidewalks and living in vehicles. And, in April 2012, to get back at those sympathetic to the homeless dilemma, he published a list of names and home addresses of 11 activists, journalists and politicians “who he said shouldn’t mind having the homeless set up tents and sleeping bags outside their doors because they had expressed sympathy for them.” In fact, he even offered $20 to any homeless person who would set up camp outside their homes. Back in the summer of 2010, Ryavec started his own personal campaign to rid Venice streets of RVs by lobbying hard “for permit-parking zones that would have locked out many RV dwellers” and claiming “The left here in Venice doesn’t want to see any rules… ’Keep Venice free’ and all this crap. They think there’s something romantic about people living in RVs. This is a marginal existence.” And, for those unable to afford the high rents in Venice and most of Los Angeles, the only existence they can afford.